Challenger Lifts’ 15,000 lb. four post automotive lifts are the complete package for expanding your service offering and revenue potential. 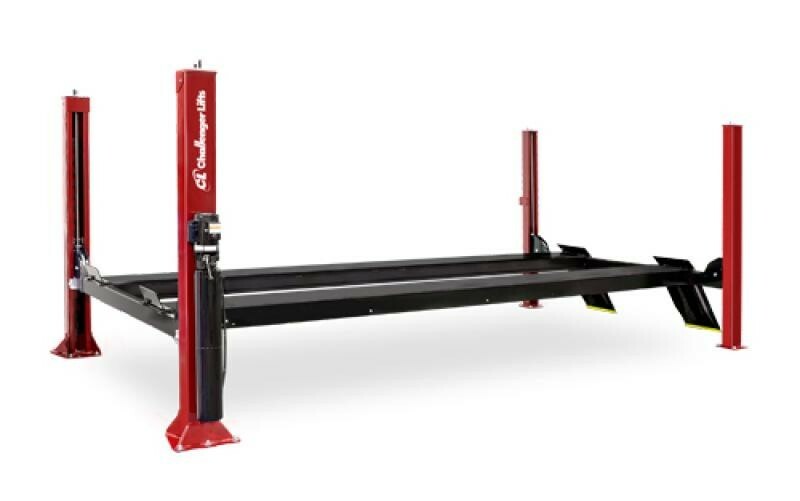 The 4015series comes in several productivity configurations including open and closed front general service flat decks and alignment rack packages that support today’s latest camera imaging alignment systems. With the 4015series, you’ll be able to service small passenger cars and medium duty trucks, vans and fleet vehicles.